Can Failure Make You A Better Leader? 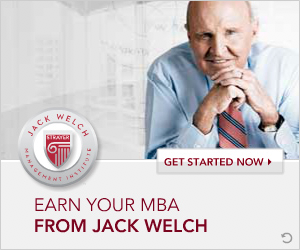 Early on in Jack Welch’s career at General Electric, he literally blew the roof off of a plant. It was a massive failure for the man who would later become the company’s CEO, but it was also a learning experience. That’s the key to failure–learning. After a defeat you have to get yourself back on the horse, realizing why you fell in the first place and figure out how to avoid falling in the future. It’s a very big deal, and it’s how great leaders can make the most of their mistakes. Watch Jack and Suzy Welch discuss disappointing outcomes with VaynerMedia CEO Gary Vaynerchuk in a clip from Gary’s YouTube show #AskGaryVee.